When Sara was introducing herself.. in our native language. Very nice Taffy, and what vibrant colors in the photos you have to work with. Beautiful page Taffy! Looks like you were picking up all the colors of the blanket. Very pretty! Taffy, did you make her lovely colorful costume for the pagent? 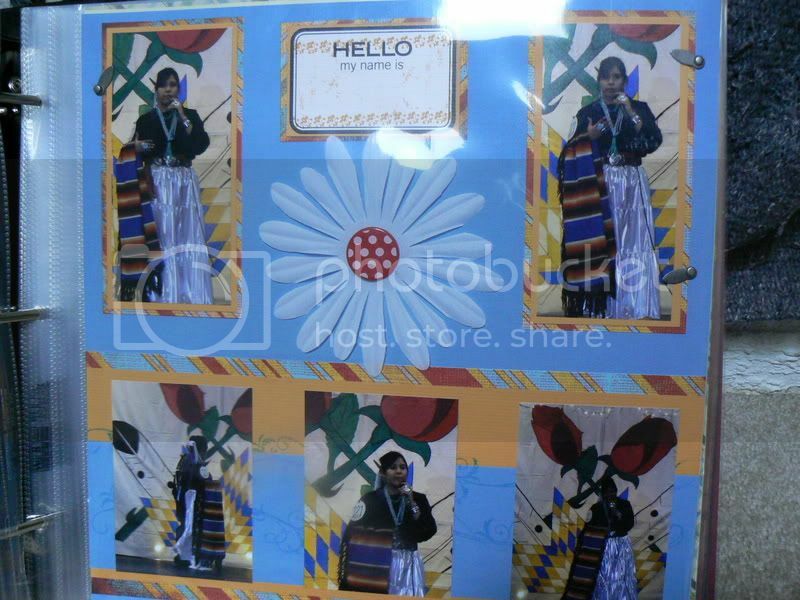 The blue background really shows off the lovely costume and the colorful blanket. Loving your LOs. Judith, no i didn't. My BIL made this particular outfit for her. Great LO Taffy and all the beautiful colors and your dd is very pretty.